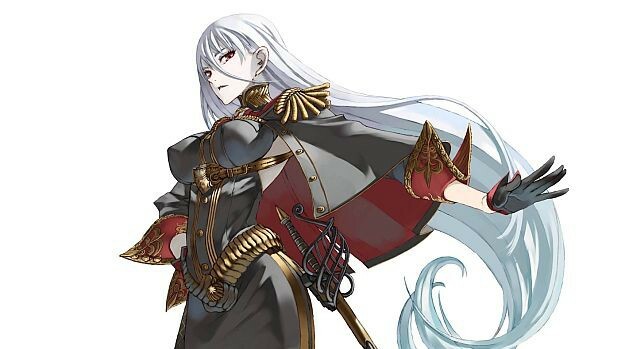 Normally, I'm a guy who lets people crow over their own opinions and just go on my own way but Josh's post about why he thinks that Valkyria Chronicles 2 is as good, if not better than the original actually made me more than a little angry because it is false! The saying goes "there's no smoke without fire" and after discussing it with many video game playing friends and communities who are fans of the series as a whole, I can only say to Josh "The vast majority can't be wrong." 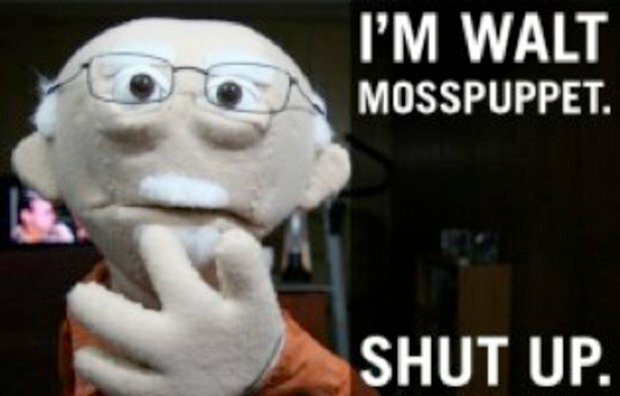 Well, I can also say STFU! but that would be pointless at this stage. 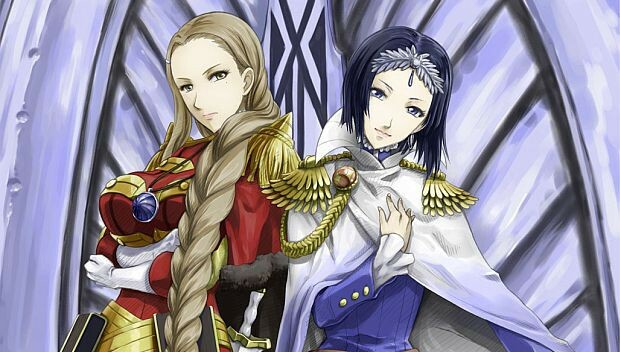 I should also elaborate that many people whose opinions I have read or have discussed the game with DO own both the PS3 and PSP games and we all agree that VC2 does not compare to VC1. In fact, after a few of us completed VC2, we went back to our PS3s to remind us just how good it is!! Since this is meant to be a counterpoint to Josh's post, I'm going to *ahem* steal his images and structure my response to counter his article. 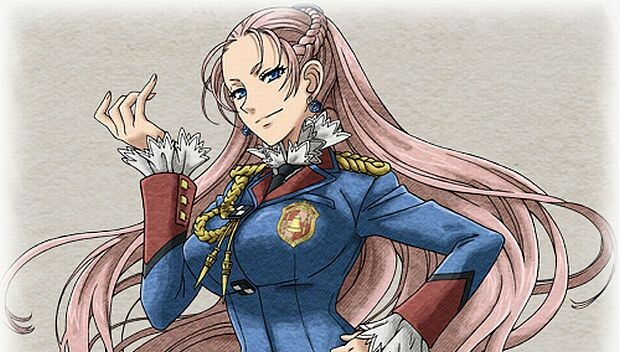 I would also like to state that I do not think that Valkyria Chronicles 2 is a bad game! Far from it, it's a good and fun PSP game, but it doesn't hold a candle to it's predecessor in most ways. It's the part which Josh says that VC2 is as good, if not better than VC1 which I take issues with. Not that VC2 isn't a good game! With that being said, on to the first point! 1. we are not jealous! As I stated above, a lot of people who I've spoken to or read opinions of owned both a PSP and PS3. We all played both games and we all agreed that VC2 was not as good. And we all felt that it was the same points which the game fumbled at. Yes, there are some fans out there who are bitterly disappointed that the game is a PSP title and they don't own a PSP but in general, I have seen that they don't simply say that the game is terrible, they ask those who have played both what they think! Guess what those people say? The fact that their opinions are not quite their own and eschews the numbers in favour of the haters is a valid point, but when those opinions come from people who have played both and considered the pros and cons of both games, is it right to say that the haters are simply Jealous? They are, afterall simply going by what people who have played both games have said to them! While I will agree that Valkyria Chronicles is geared towards speed play, I will disagree that VC2 is closer to the "ideal" than the first. To do well in VC1, you had to take a good look at the map, think of a plan which would allow you to accomplish the objective with minimum risk, choose your squad for specific tasks which need to be completed and then excecute said plan. In that respect, the closest comparison from another game would be the original Rainbow six games! VC2 has none of this. the map is mostly void because it's very restrictive in the paths so you can only go in certain directions and enemies are not initially shown so you could find an infantry destroying tank right in front of you from the start. so much for the plan! The maps are also so small that scouts are able to traverse entire areas using a couple of CP with shocktrooers not far behind. So all you really need to finish the levels fast are a load of scouts and a few shocktroopers to take out the harder infantry. Maybe a lancer to take out the tanks if they get in the way. There are no tactics involved, it's simply a matter of getting your troops from A to B in the quickest way possible. In that respect, battles can often feel hollow in VC2 while lacking the scale and sense of worry on every move in VC1. The swapping of troops and maps also only serve to slow the whole battle process down, which is contrary to what the "ideal" of the game is meant to be, according to Josh. Even so, just by running down the shortest path, it's possible to complete most of the stages in 3 turns or less and that's just by running through the stages, no tactics needed, no planning required. There is a gauntlet. Run through it! There is more to making a system like this interesting than just speed, even though that plays a huge part. Turning battles into an effective sprint is not one of them. we ARE looking! It ISN'T all there!! The biggest point that Josh tries to drill in home here is that the subtle undertones and contexts in VC2 are equal or greater than those of VC1. And I would agree... if it wasn't for the fact that the enemies adhere to more clich�s and stereotypes than most of the rest of the cast! While the Imperial leaders were given multifaceted personalities and you see that they are not inherently evil but shaped by their experiences (something which the anime decided to gloss over to make them more obvious bad guys), in VC2 we have an overbearing noble who is willing to sell his country out to get what he wants. He's basically the VC2 equivalent of Prime Minister Borg in the first game, who was the most boring NPC in the game. Even Damon was better than him! The other enemy bosses were just fundamentalists and a guy strapped into a suit of armour for added muscle. Between these characters who are hard to take seriously and the schoolyard bumbling around of your main characters, it's almost impossible to take any of the plot seriously. Even when they try to tug on the heart strings, there's a massive disconnect because the cutscenes on the PSP aren't up to the task, like when you try to stop a darcsen "purge" your characters arrive too late and all we get is a portrait of Avan going "dammit, we're too late." Would it be that hard to show some fleeing darcsens trying to escape to try and hammer home the gravity of the situation? While I admit that the points that Josh made are there, like he said "you just need to look" very VERY hard! Almost to the point of overanalysing before one can see it and ultimately, because of the way the plot is handled, the points are paper thin. Almost like a footnote which is called up to make the enemies more human by providing them with a "reason" to fight before it gets tucked away again. Soldier: I'm feeling that fighting is bad! Baldren: We're fighting to remove the evil Darcsen from the country! Soldier: Rawr!!! I feel angry. I want to fight again! The characters and story in general simply lack the depth and complexity of the first game. You could almost say that VC1 was a story for adults which children can enjoy. 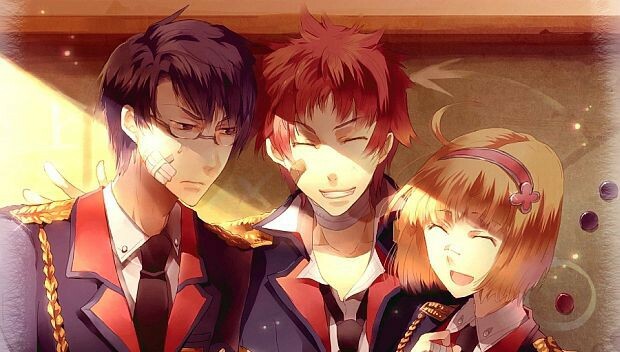 VC2 is a story for children which adults can (kinda) enjoy. 4. we ARE getting more than character Dossiers. But who wants them? Funny how in his example, Josh calls out Melissa and Helmut. He makes a good point. Helmut does have an interesting back story and Melissa doesn't. The problem is that there are more characters like Melissa than Helmut. His is a minority with only the main trio getting fully fleshed out stories to follow, the rest has scenarios like an overbearing older sister, beating up other students to clear the way for one of your members to have an impromptu concert, running through an enemy base to find a flower to confess to the persont they fancy??? If that's the level of storytelling the characters are getting then I say they can keep it! But here's the million <insert currency here> question. Is it cheaper to redevelop a game engine and shoehorn it into a platform it really wasn't designed for or to use the same engine and development tools used for the already existing first game and tweak them to make a sequel? 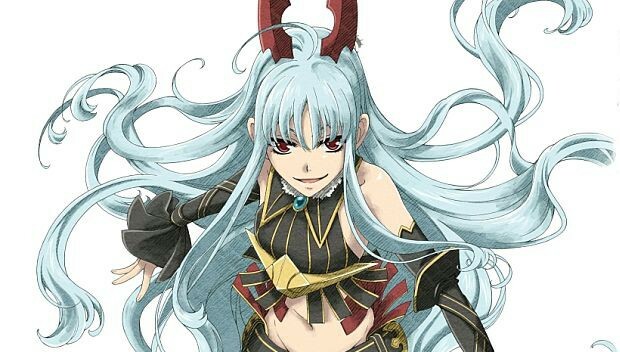 While it is very possible that the PSP VC2 would be cheaper than a theoretical PS3 sequel, I doubt the difference in cost would be as great as some people claim primarily because the foundations and main engine of the game already existed for a PS3 sequel Many assets could also be reused and I'm sure gamers wouldn't have complained so long as it wasn't to the same level of crackdown 2! Some AAA sequels are basically money sinks as developers try to make everything bigger and better than the original, but Valkyria Chronicles doesn't need to be bigger necessarily and if they played things smart and looked at what needed changing rather than going through the traditional sequel route of "more everything"
And I would also disagree that the depth of the game was preserved in the shift over to the handheld platform as well. Just look back at my ramblings about how shallow the battle system can be now that "speed" governs all. Also, a larger install base doesn't necessarily mean that the uptake will be proportional to the increase in userbase. Just ask the developers of "core" titles for the wii! While it is a different type of beast to compare, the PSP in japan is pretty much known for one game only. First week sales of VC2 in Japan weren't too vastly different from VC1 (wikipedia quotes 94k sales for VC2 and 77k for VC1) and the difference can easily be accounted for the increased name recognition because it's a sequel! Guessing on possible sales figures on a game which was never made is pointless but I am confident that a PS3 VC2 would have exceeded the first week sales of the actual game by the simple virtue that it would be catering to an existing fanbase with all the necessary hardware installed already. It's not a guarantee to say that every VC fan in Japan has a PSP afterall but it's far more likely that they would have a PS3 so you're building on an existing fanbase who only need to buy the game as opposed to trying to effectively build one from scratch on a different platform while the original is still fresh in peoples minds. 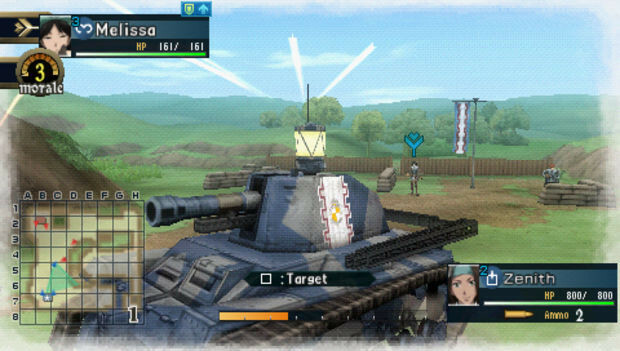 And remember what kind of game Valkyria Chronicles is. It's a tactical RPG, one of the most niche gaming types out there which appeals to a specific kind of player. It doesn't have mass market appeal to begin with so there's no point in aiming for the mass market. You're more likely to find success with these games by focusing on the people you know will buy them, even if the market share is considerably smaller. That's right, I actually agree with Josh on point 6 because the game isn't perfect. Nothing is afterall. But he does hit quite a few truths on this one section. The main problem with VC2 is that ultimately, it takes away more than it brings to the table in the transition. We gained a much inproved interface between battles (let's face it, the VC1 book interface is all kinds of terrible) and the seemingly random accuracy of your shots has been improved (arguably by too much) and the class change system does allow for more customisation within your squad, but we have lost more varied large maps to convey larger scale battles (each mini-map is basically an island unto itself), a loss in tactical depth in the game, better developed and interesting characters whom you actually care about (especially since none of them can die permanently now) and the obvious graphical stripdown. Not all additions were good either, VC2 introduced the grinding element of RPG character development and the multiplayer was a throwaway. A box to tick at the development meeting. 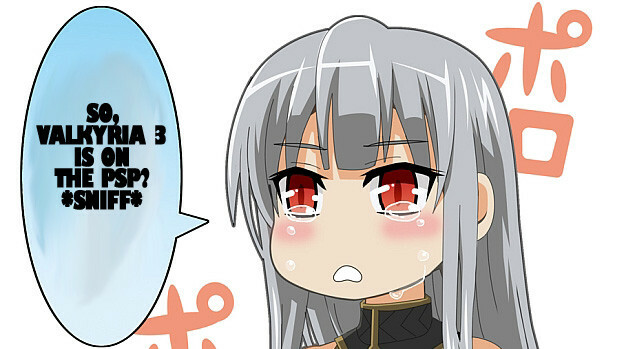 I do have high hopes for VC3 though. From my play on the demo, it does look like they tried to fix everything they could so it's just the technical side of things left and that is a ceiling which they will never break but that's not what this argument about. The bottom line is that the PSP is a lesser platform (at least in terms of raw power) compared to the PS3 and VC2 is, ultimately, a lesser game than the original. The 2 are not closely linked but neither are they independent. Some of the failings of VC2 are because of the hardware but not all. 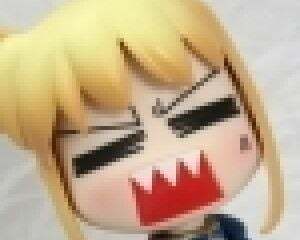 So there is some validity in the argument saying that it is a lesser game on a lesser platform and we will be stuck with those issues with VC3 simply because of the platform choice. But in the end, the argument was against the claim that VC2 is as good, if not better than VC1 and even if you choose to ignore the counterpoints I have tried to make in this post, there is one thing you cannot ignore nor argue against. The vast majority of those who have played both agree that VC2 is inferior. It's still good, but not as good as its predecessor. Can you really argue that the majority is wrong? If there was one thing VC2 did incredibly well was that it made many of us who played it go back to the first game and appreciate it all over again!! And remember, Lesser doesn't necessarily mean bad!